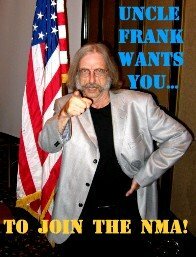 So many of us want to play in the NMA dance band that we play in shifts. We play a handful of tunes then stop for a couple of minutes to rotate a few players in. Switching people around keeps things moving, keeps everyone involved and, most of all, keeps rehearsals fresh. When I say we play dance band music morning and night, I am being absolutely literal.